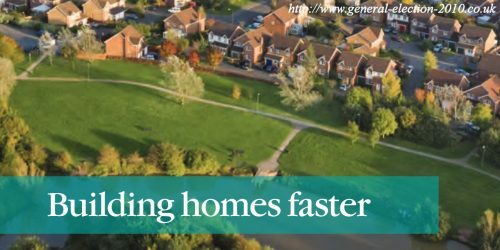 Where communities have planned for new homes, we want to ensure those plans are implemented to the timescales expected. Hold local authorities to account through a new housing delivery test. More details of these proposals, and questions for consultation, can be found in the annex. 2.1 Where communities have planned for new homes, we want to ensure those plans are implemented to the timescales expected. At the moment there are often significant lags between plans being developed, full permissions for new homes being granted, and those homes being built. As of July 2016 there were 684,000 homes with detailed planning permission granted on sites which had not yet been completed. Of these, building had started on just 349,000 homes. 2.2 This chapter sets out a package of proposals to give communities, local authorities and developers the support and backing to build homes more quickly. Tackling these challenges will require a partnership between all the actors in the market – from developers, local authorities, central government and its agencies, and utility providers – to identify and tackle blockages at every stage of the development process. 2.3 Slow building of new homes undermines local and neighbourhood plans. Where an authority cannot demonstrate a five-year supply of land against the housing target in its local plan, it is vulnerable to speculative development. This means the local community can lose a significant degree of control over where new housing is built, which undermines public confidence in the plan-led system. 2.4 Strong leadership, transparent data on delivery of housing and a systematic approach to addressing blockages is vital to keeping home-building on track. Local authorities and developers have told us about a range of issues that slow down the building of new homes, such as local planning authority capacity to handle applications; too many applications going to appeal; the time taken to discharge planning conditions or address planning obligations; a lack of infrastructure; problems securing the necessary utility connections; excessive bureaucracy in protecting species like great crested newts; and skills shortages. 2.5 This chapter sets out our proposals to tackle delays. Alongside taking action to address the issues that developers and local authorities tell us are holding up home building, it is only reasonable to ask them to up their game. 2.6 Areas that rise to the challenge, put robust plans in place and deliver on those plans will be in a strong position to resist proposals that do not accord with their plan. But this chapter also outlines proposals to hold developers and local authorities to account, if they fail to deliver the homes people need. 2.7 At present, where an authority cannot demonstrate a five-year supply of land to cater for its housing need, it is vulnerable to its plan being undermined. This is because in these circumstances their plan is deemed to be out of date and the presumption in favour of sustainable development applies. neighbourhood plans being undermined, by leaving them vulnerable to speculative applications where the local planning authority does not have a five-year housing land supply. 2.9 The Local Plans Expert Group recommended that whether a five-year housing land supply exists or not should be capable of agreement on an annual basis, through discussion between authorities and development interests (both large and small builders) and key infrastructure providers in each area, and subject to consultation and examination. Having considered responses to that proposal, the Government will amend the National Planning Policy Framework to give local authorities the opportunity to have their housing land supply agreed on an annual basis, and fixed for a one-year period. 2.10 The Government also wishes to provide more certainty for those neighbourhoods that have produced plans but are at risk of speculative development because the local planning authority has failed to maintain a five year land supply. Through a Written Ministerial Statement of 12 December 2016, we made clear that where communities plan for housing through a neighbourhood plan, these plans should not be deemed out-of-date unless there is a significant lack of land supply for housing in the wider local authority area. 2.11 The revised policy will ask neighbourhoods to demonstrate that their site allocations and housing supply policies will meet their share of housing need. 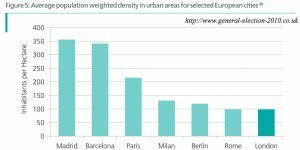 To ensure that housing is being delivered across the wider local authority area, we propose that the protection for neighbourhood plans will not apply where delivery in the local planning authority is less than 65% from the year 2020 (25% in 2018; 45% in 2019) as measured by the housing delivery test set out later in this White Paper. 2.12 These proposals offer areas that have robust plans in place, which take account of historic build out rates for sites, greater protection and certainty in implementing local policies agreed in consultation with local communities. Further detail about the proposal can be found in the annex. 2.13 Developers consistently tell us that the lack of capacity and capability in planning departments is restricting their ability to get on site and build. Alongside funding, local authorities also report difficulties in recruiting and retaining planners and others with specialist skills. There may also be wider capacity and skills issues for local authorities. 2.14 We will take steps to secure the financial sustainability of planning departments; ensure that the planning system has the skilled professionals it needs to assess and make the tough decisions we expect; and provide targeted support to address areas of specialist weakness. 2.15 We will increase nationally set planning fees. Local authorities will be able to increase fees by 20% from July 2017 if they commit to invest the additional fee income in their planning department. We are also minded to allow an increase of a further 20% for those authorities who are delivering the homes their communities need and we will consult further on the detail. Alongside we will keep the resourcing of local authority planning departments, and where fees can be charged, under review. 2.16 We will make available £25m of new funding to help ambitious authorities in areas of high housing need to plan for new homes and infrastructure. This funding will support local authorities to engage their communities on the design and mix of new homes, as well as where they should go. And it will enhance their capacity to manage delivery. 2.17 An applicant’s right to appeal to the Planning Inspectorate if they are unhappy with the decision of their local planning authority is a fundamental part of our planning system. However, unnecessary appeals can be a source of delay and waste taxpayers’ money. We will consult on introducing a fee for making a planning appeal. We are interested in views on this approach and in particular whether it is possible to design a fee in such a way that it does not discourage developers, particularly SMEs, from bringing forward legitimate appeals. One option would be for the fee to be capped, for example at a maximum of £2000 for the most expensive route (full inquiry). All fees could be refunded in certain circumstances, such as when an appeal is successful, and there could be lower fees for less complex cases. 2.18 Previous governments have failed to align new infrastructure with new housing. The result has been delays in build out and increased opposition to house building as existing communities find that a new housing development down the road means more congestion on local roads and pressure on places at the local school. We will take a more coordinated approach across government to make sure the right infrastructure is provided in the right places at the right time to unlock housing delivery. We need to work with mayors and local leaders, taking a place-based approach, to better empower them to drive delivery of homes, jobs and shared prosperity for their areas. In May 2016, the Government asked the National Infrastructure Commission (NIC) to make recommendations on the measures required to maximise the potential of the Cambridge – Milton Keynes – Oxford corridor as a single, knowledge-intensive cluster that competes on the global stage, whilst protecting the area’s high quality environment and securing the homes and jobs the area needs. Recognising this opportunity to align infrastructure delivery with the housing challenge in this corridor, the Government has responded to the NIC’s report by committing £137m of new or accelerated funding to support development and delivery of East-West Rail and the Cambridge-Oxford Expressway, and will continue to work with NIC and local partners on ways to secure housing delivery ahead of the NIC’s final report. where these will unlock the delivery of new homes, enabling economic development across the area. We would also welcome joint bids from across local authority boundaries where a strategic project could open up new homes on a wide-scale. Our decision-making is likely to factor in whether authorities intend to apply the new standardised approach to assessing housing requirements. We will fund those bids that unlock the most homes in the areas of greatest housing need. 2.20 It is essential that when the Government does invest in new infrastructure (such as High Speed 2), local planning authorities make the most of the opportunities for new housing it unlocks. Consequently we propose to amend national policy so that local planning authorities are expected to identify the development opportunities that such investment offers at the time funding is committed, and make it clear that when they review their plans they should seek to maximise the potential capacity unlocked by major new infrastructure. 2.21 In line with the Government’s strong commitment to achieving full fibre connectivity, we are consulting on requiring local authorities to have planning policies setting out how high quality digital infrastructure will be delivered in their area. 2.22 We also want to consider how we can capitalise on new developments, and the digital infrastructure attached to them, to enhance broadband coverage for local communities and nearby residents. At 2016 Autumn Statement, the Government announced over £1 billion of new funding to boost the UK’s digital infrastructure. 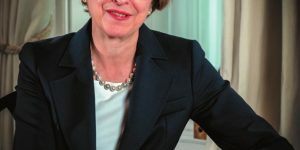 This includes £400m of funding for a new Digital Infrastructure Investment Fund to support access to commercial finance for providers to invest in new fibre networks, and £740m to support the market to roll out full fibre networks and to deliver a programme of 5G and integrated fibre trials in local areas. In assessing bids for these trials from local authorities, we will take account of which areas can demonstrate that they have policies setting out how high quality digital infrastructure will be delivered in their area. Furthermore, the Local Government Finance Bill published on 13 January 2017 will give a business rates tax break worth £60 million to incentivise telecommunications companies to lay new full fibre broadband. 2.23 In December 2014, the Government published Better Connected, setting out the process for securing utility provision for developments from initial scoping to post-development. It provides a shared expectation for utility connections from companies and developers. It also sets out the statutory performance measures already in place, and introduces new voluntary standards for water and sewerage and telecoms. We will now work together across government and the sector to review Better Connected, assessing its impact so far, and how existing performance standards and penalties are working to support house building at all scales from small and medium sized developments to major sites delivering many thousands of homes. 2.24 The Government will review what more we could do to ensure that utilities planning and delivery keeps pace with house building and supports development across the country: aligning investment in utilities provision with local development plans that set out where and, crucially, when houses will be built is likely to be key in achieving this, speeding up timely connections for new homes. As part of this review, and depending on progress made by the sector, the Government will closely monitor performance to ensure house building is not being delayed and, if necessary, will consider obligating utility companies to take account of proposed development. 2.25 Once detailed planning consent has been granted, a range of factors may cause delays to development. These might include the time taken to discharge planning conditions or address planning obligations; and the need to protect species like great crested newts. Construction skills shortages particularly in London and the South East can also bring work on site to a hold. The Government will take action to address these barriers. 2.26 We will tackle unnecessary delays caused by planning conditions by taking forward proposals, through the Neighbourhood Planning Bill, to allow the Secretary of State to prohibit conditions that do not meet the national policy tests, and to ensure that pre-commencement conditions can only be used with the agreement of the applicant. We introduced a new deemed discharge mechanism for planning conditions in 2015 and we are keen to hear more from developers, local authorities and other interested parties about how this is working and if we can streamline the process further. 2.27 House-builders have identified the licensing system for protected species such as great crested newts as a significant impediment to timely housing delivery. Natural England and Woking Borough Council have piloted a new strategic approach which streamlines the licensing system for managing great crested newts – the species which particularly affects development. 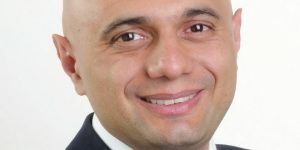 The Government will roll out this approach to help other local authorities speed up the delivery of housing and other development. 2.28 We continue to support the existing principle that developers are required to mitigate the impacts of development in their area, in order to make it acceptable to the local community and pay for the cumulative impacts of development on the infrastructure of their area. This principle currently operates through a system of developer contributions, secured via Section 106 planning obligations under the Town and Country Planning Act 1990 and additionally, since 2010, via the Community Infrastructure Levy (CIL). 2.29 The independent review of CIL and its relationship with Section 106 planning obligations, published alongside this White Paper, found that the current system is not as fast, simple, certain or transparent as originally intended. The Government will examine the options for reforming the system of developer contributions including ensuring direct benefit for communities, and will respond to the independent review and make an announcement at Autumn Budget 2017. Great crested newts are strictly protected by legislation and currently site by site licencing is carried out where great crested newts are affected by development. This commonly requires developers to commission site surveys, put in place mitigation measures where necessary and obtain a licence from Natural England after planning permission is granted. This can add considerable costs, delays (e.g surveys can only be undertaken at certain times of the year) and uncertainty to bringing development forward. Mitigation and habitat compensation can also restrict the level of development on an individual site. Woking Borough Council and Natural England have piloted a new strategic approach to streamline licencing which focusses conservation where it will bring maximum benefits to great crested newts. The approach replaces site by site licencing with a new system of plan level licensing; with surveys and habitat compensation undertaken proactively at the district level by Natural England and the local authority. Developers can buy into the strategic mitigation at local authority level, rather than seeking to undertake individual site surveys, provide on-site mitigation and seek an individual site licence from Natural England. 2.30 In addition to considering longer-term reform, the Government believes there is scope to make changes to s106 agreements in the short term to address practical issues in the operation of agreements raised by local planning authorities and developers. This will include consulting on standardised open book Section 106 agreements, to reduce disputes and delays, and on how data on planning obligations could be monitored and reported on to increase transparency. The Housing and Planning Act 2016 includes provision for a Section 106 dispute resolution process. The Government will consider dispute resolution further, in the context of longer term reform. 2.31 The construction sector relies heavily on sub-contracted and self-employed labour, and has low levels of investment in skills and new technologies. This has contributed to skills shortages now facing the industry in some key trades and in some regions. This situation is likely to worsen if left unchecked, with many workers due to retire over the next 10 years. The 2016 Farmer Review of the UK Construction Model, Modernise or Die, sets out several challenges for industry, which we have considered. 2.32 The industry committed in 2016 to bring 45,000 new skilled workers into the sector by 2019/20. Some progress has been made but we now need industry to step up and increase the number of people trained on site, including through apprenticeships for workers of all ages. Industry should look at policy on retention to make best use of the skills of their existing workers and avoid unnecessary early exit from the labour market. Industry should work with local colleges to ensure that the future skills they need are being brought forward through the education and training sector. This will also help industry to address concerns it has raised about reliance on migrant labour in some areas, such as London and the South East, as we prepare to leave the European Union. This is an important moment and we should make the most of the opportunity for industry to invest in its workforce, alongside tackling the issues raised by the Farmer Review. The larger companies need to take responsibility for ensuring that they have a sustainable supply chain, working with contractors to address skills requirements. work across Government, with the Construction Leadership Council, to challenge house builders and other construction companies to deliver their part of the bargain. We want to see developers investing more in training to secure future needs, supporting retention and will work with industry to better understand any barriers to delivering this. 2.34 We have used the opportunity of major construction programmes, such as Crossrail, to help train the workforce of the future. Crossrail alone has created over 600 apprenticeships across the project and enrolled over 17,500 people at the Tunnelling and Underground Construction Academy in Ilford. More than 1,000 people who were previously unemployed have gained work on the project. We will explore whether this successful approach can be applied more broadly in the construction sector. 2.35 Strong local leadership is vital if the homes that local areas have planned for are to be built. We need to hold local authorities more closely to account for the delivery of homes that they have planned for, and enable them to hold developers to account. We also need to improve transparency of the end-to-end house building process, so there is clarity about the delivery of new homes and where blockages lie. We propose to improve transparency, certainty and accountability for authorities and developers. 2.36 We will require more information to be provided about the timing and pace of delivery of new housing, building on the commitment made by the Home Builders Federation to improve transparency on build out on a site by site basis. Local authorities will be able to consider this information when planning to meet their housing need. 2.37 The Department for Communities and Local Government will increase the transparency and quality of data it publishes on delivery against plan targets, and better information on the development pipeline, so timely support can be provided. This information will be published as open data. This will empower councils and communities to challenge developers on their performance and consider what if any further action is necessary. 2.38 Subject to further consultation, we are also proposing to require large housebuilders to publish aggregate information on build out rates. 2.39 To strengthen the scrutiny and focus on the delivery of sites, we propose to amend national planning policy to encourage local authorities to consider how realistic it is that a site will be developed, when deciding whether to grant planning permission for housing development, on sites where previous permissions have not been implemented. We want to discourage proposals where the failure to implement previous permissions suggests that there is no intention to build, or where there are insurmountable barriers to delivery on the site. 2.40 We are interested in views on whether an applicant’s track record of delivering previous, similar housing schemes should be taken into account by local authorities when determining planning applications for housing development. If this proposal were taken forward, we would intend for it to be only used in considering applications for large scale sites, where the applicant is a major developer, as we don’t want to deter new entrants but would like to explore whether an applicant’s track record of strong or poor delivery may potentially be relevant. 2.41 Where planning permission is granted, we want development to start as soon as possible. Our proposals to tackle points of delay and provide more support should allow developers and local authorities to be more ambitious on start dates. We are considering the implications of amending national planning policy to encourage local authorities to shorten the timescales for developers to implement a permission for housing development from the default period of three years to two years, except where a shorter timescale could hinder the viability or deliverability of a scheme. We would particularly welcome views on what such a change would mean for SME developers. 2.42 We want to ensure local planning authorities have more effective tools to deal with circumstances where planning permission has been granted but no substantive progress has been made. We propose to simplify and speed up the completion notice process, whereby if development on a site has stopped and there is no prospect of completion, the local authorities can withdraw planning permission for the remainder of the site. This would make it easier for local authorities to serve a completion notice, helping to stimulate building or clear unused permissions from their planned supply of land. 2.43 Compulsory purchase law gives local authorities extensive powers to assemble land for development. Through the Housing and Planning Act 2016 and the Neighbourhood Planning Bill currently in Parliament we are reforming compulsory purchase to make the process clearer, fairer, and faster, while retaining proper protections for landowners. Local planning authorities should now think about how they can use these powers to promote development, which is particularly important in areas of high housing need. 2.45 In addition, the Homes and Communities Agency (HCA), will take a more proactive role on compulsory purchase, by working closely with local authorities, and other parties where appropriate, to use their compulsory purchase powers to support the development and regeneration of land for housing, where this is consistent with the HCA’s objectives and powers. 2.46 We will keep compulsory purchase under review and welcome any representations for how it can be reformed further to support development. 2.47 Having given local authorities stronger tools to ensure developers build homes quickly, the Government will introduce a new housing delivery test to ensure that local authorities and wider interests are held accountable for their role in ensuring new homes are delivered in their area. This test will highlight whether the number of homes being built is below target, provide a mechanism for establishing the reasons why, and where necessary trigger policy responses that will ensure that further land comes forward. The first assessment period will be for financial years April 2014 – March 2015 to April 2016 – March 2017. 2.48 To transition to a housing delivery test we propose to use an area’s local plan (or, where relevant, the figure in the London Plan or a statutory Spatial Development Strategy) where it is up-to-date (less than 5 years old) to establish the appropriate baseline for assessing delivery. If there is no up-to-date plan we propose using published household projections for the years leading up to, and including, April 2017 – March 2018 and from the financial year April 2018 – March 2019, subject to consultation, the new standard methodology for assessing housing need. 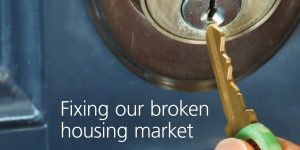 From November 2017, if delivery of housing falls below 95% of the authority’s annual housing requirement, we propose that the local authority should publish an action plan, setting out its understanding of the key reasons for the situation and the actions that it and other parties need to take to get home-building back on track. From November 2020, if delivery falls below 65% the presumption would apply. 2.50 The phased introduction of the housing delivery test consequences will give authorities time to address under delivery in their areas, taking account of issues identified in their action plans and using the 20% buffer to bring forward more land. 2.51 The Government is looking at options to support local planning authorities seeking to increase delivery in their area, including requests for planning freedoms which were introduced in the Housing and Planning Act 2016. The National Planning Policy Framework is clear that Green Belt is among the areas where development should be restricted. 2.52 Our efforts to streamline and speed up the planning system should in the medium term reduce the need for house builders to keep such a significant ‘stock’ of land. The improvements to transparency proposed will ensure more comprehensive and up to date information is available on the delivery of land with planning permission at both a local and (in aggregate) national level. We will monitor the situation closely, and will not hesitate to take further action if required. 44 Of the remaining 335,000 homes with permission, we understand that 90% of these are progressing towards a start and 18,000 (5%) units are on sites that are ‘on hold or shelved’, the remaining 15,000 units are on sites that have been sold or for which there is no information available. This includes only those units that have been granted detailed planning permission, or approval of reserved matters, on sites with ten or more homes. Source: DCLG analysis of Glenigan data.